Transcultural Cities uses a framework of transcultural placemaking, cross-disciplinary inquiry and transnational focus to examine a collection of case studies around the world, presented by a multidisciplinary group of scholars and activists in architecture, urban planning, urban studies, art, environmental psychology, geography, political science, and social work. The book addresses the intercultural exchanges as well as the cultural trans-formation that takes place in urban spaces. In doing so, it views cultures not in isolation from each other in today’s diverse urban environments, but as mutually influenced, constituted and transformed. In cities and regions around the globe, migrations of people have continued to shape the makeup and making of neighborhoods, districts, and communities. For instance, in North America, new immigrants have revitalized many of the decaying urban landscapes, creating renewed cultural ambiance and economic networks that transcend borders. In Richmond, BC Canada, an Asian night market has become a major cultural event that draws visitors throughout the region and across the US and Canadian border. Across the Pacific, foreign domestic workers in Hong Kong transform the deserted office district in Central on weekends into a carnivalesque site. While contributing to the multicultural vibes in cities, migration and movements have also resulted in tensions, competition, and clashes of cultures between different ethnic communities, old-timers, newcomers, employees and employers, individuals and institutions. 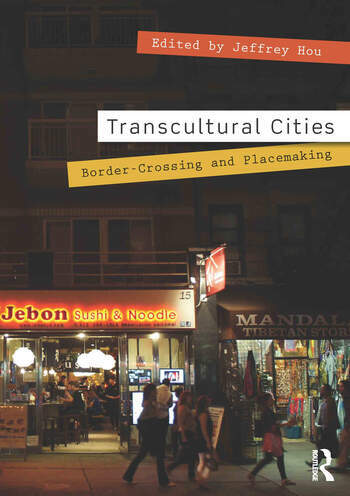 In Transcultural Cities Jeffrey Hou and a cross-disciplinary team of authors argue for a more critical and open approach that sees today’s cities, urban places, and placemaking as vehicles for cross-cultural understanding. Jeffrey Hou is Associate Professor and Chair of Landscape Architecture at the University of Washington.